A lot of you might be familiar with these shortcuts. We will show you a combination of computer shortcuts key to control your computer more easily in your daily life. 1) First of all you should know how to switch between the ongoing programs by using shortcuts. To switch between the apps of your computer use ALT+Tab. When you press ALT+Tab, a new box will appear as you can see in the picture below. You will see the icon of all the programs you are running. Hold the ALT button and press the tab button again and again to select different program.In this way you can use multiple programs very quickly without any delay. 2) Minimize all the program at a time: Suppose you are doing something alone and you don't wanna let people see what you are doing. Suddenly someone appears and you want to minimize all the program quickly. It will be too late if you try to minimize all the programs by using your mouse pointer. 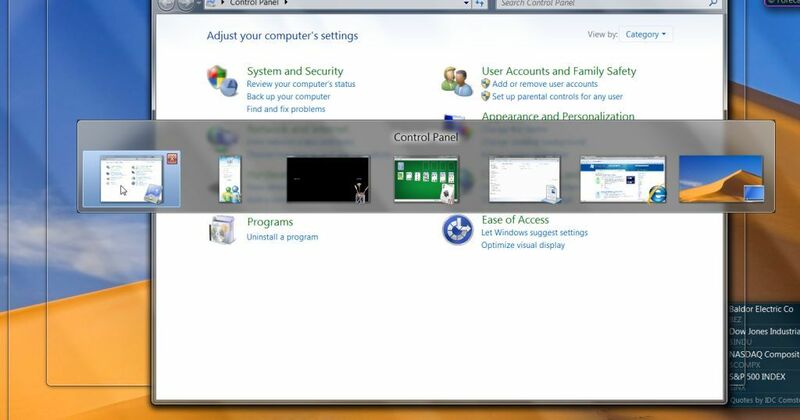 But if you use Windows menu +D shortcut, you can easily minimize all the program. Apply the same shortcut again to maximize all the program. This is a very useful shortcut you must use. 3) Control your web browser: You can use many useful shortcuts to use your web browser like a boss. Use CTRL+T for opening a new tab to browse a new website. To open a new browser window use CTRL+N. To switch between the multiple use Ctrl+Tab. Use all of them together for few days to get the maximum advantage. Besides all these top 3 shortcuts, you can also use other shortcuts like ALT+F4 to close any program or shut down your Pc, Windows Key + R to open run. It would be wonderful if you can memorize the code of useful application to open them via RUN. Now try to use all the above mentioned shortcuts everyday. A big thumps up to you if you are already using these shortcuts.